On 4 July 2016, the Unrepresented Nations and Peoples Organization (UNPO), the Institute for International Law and Human Rights (IILHR), Minority Rights Group International (MRG) and No Peace Without Justice (NPWJ), launched a second joint report documenting the state of Iraq’s minority components since the advance of ISIS in 2014. 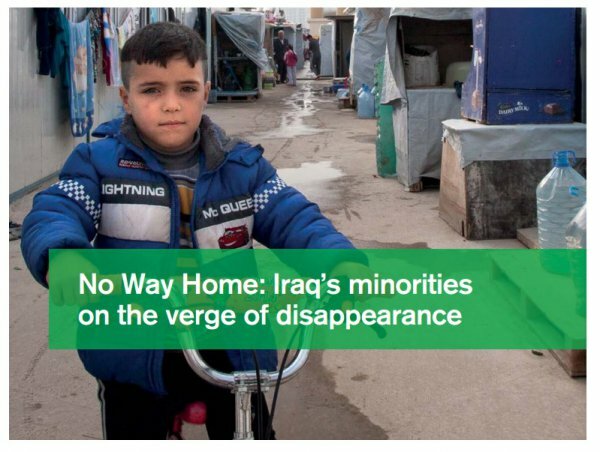 The report, entitled “No Way Home: Iraq’s Minorities on the Verge of Disappearance”, is a follow-up report to “Between the Millstones: The State of Iraq’s Minorities since the Fall of Mosul”, published in February 2015. Minority communities in Iraq are now on the verge of disappearance, says a new report by the Unrepresented Nations and Peoples Organization (UNPO), Minority Rights Group International (MRG), Institute for International Law and Human Rights and No Peace Without Justice (NPWJ). Many uprooted by the violence within Iraq hoped they would be able to return home within a relatively short timeframe. However, internally displaced persons (IDPs) interviewed by the rights organisations said that the lack of basic services and security in many locations mean that as many as one in five of them feel that they have no choice but to flee the country. “Iraq’s minority communities are feeling increasingly disillusioned and disappointed not only with the GoI and KRG, but also with the UN. This situation of protracted displacement is causing further tensions to an already dire situation, which highlights the urgent need for a long-term focus that goes beyond immediate security and relief”, says Johanna Green of the UNPO. “Its unthinkable that crimes of this magnitude and impact are being committed with total impunity. The Government of Iraq really needs to take urgent steps to provide redress to the victims – referring the situation to the International Criminal Court would be a good start,” says NPWJ’s Alison Smith. The report also says that the anticipated displacement from a possible effort to retake Mosul could total as many as 1 million over the next year and the international community could witness the flight of hundreds of thousands of further refugees in 2016 alone. 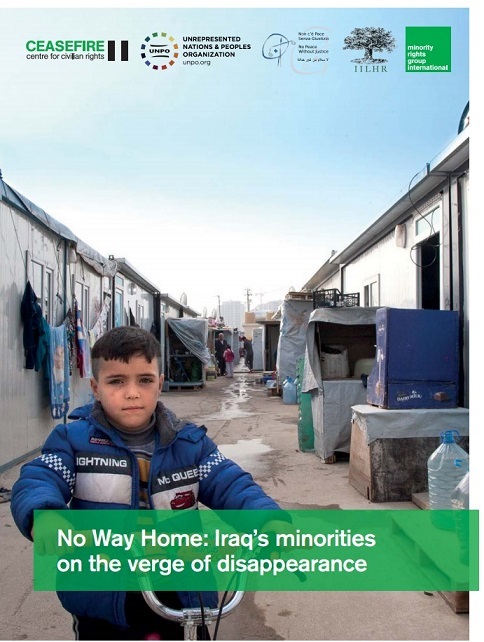 No Way Home: Iraq’s Minorities on the Verge of Disappearance is based on extensive interviews and field research and is a follow-up report to Between the Millstones: The State of Iraq’s Minorities Since the Fall of Mosul, published in February 2015.